LoanLogics' success as a technology provider to the mortgage industry has been very rewarding and we recognize our success is driven by the efforts and creative thinking of the employees that work here. We also acknowledge that our employees and clients are supported by the communities they live in and the organizations that have touched their lives. That is why we have become involved in a variety of corporate social responsibility initiatives that we are very proud to champion. For the 5th consecutive year, LoanLogics took part in the Girls Exploring Tomorrow's Technology (GETT) Expo held in Phoenixville, Pennsylvania 40 miles east of the LoanLogics headquarters. This annual daylong event is for girls grades 5-10 and their parents to learn about career opportunities in a broad scope of Science, Technology, Engineering Art and Mathematics (STEM) related industries. This year’s event drew over 1000 girls from six neighboring counties. In addition to serving on the GETT board and participating in the Expo Hall, LoanLogics EVP of Service and Delivery, Leah Fox, delivered the closing ceremony remarks. 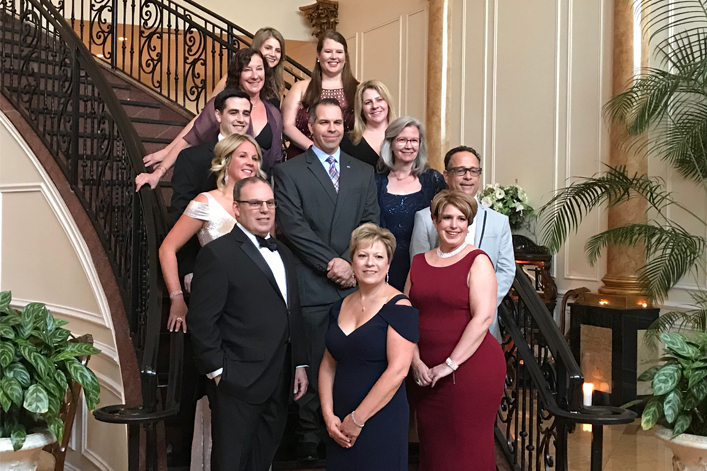 LoanLogics is a proud sponsor of Thea's Star of Hope 2018 Reach for the Stars Masquerade Ball held on October 20, 2018. This event raised funds in support of pediatric brain tumor research. This year, Brian Fitzpatrick, CEO Loanlogics, was honored for his outstanding support of childhood cancer research. 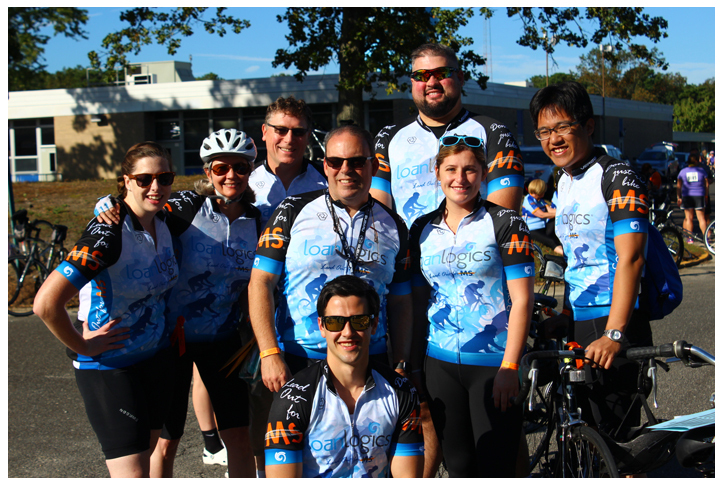 On September 29, 2018 the LoanLogics Lead Out for MS team participated in the 2018 Bike MS City to Shore ride. This is the third year of participation, with 20 riders dispersed across the 100 mile, 75 mile, 45 mile and 25 mile ride routes. The team's efforts raised $22,075, 110% of goal and a 23% increase over the 2017 ride. 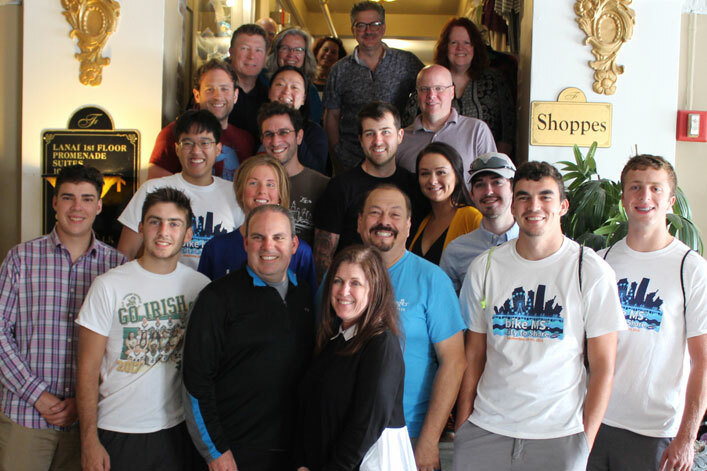 In addition, both the LoanLogics team (36th team out of 620) and Brian Fitzpatrick (53 out of 5,911 cyclists) received Diamond Club recognition for their fund raising efforts. The LoanLogics team also won Most Spirited Team Award. Congratulations to the team! 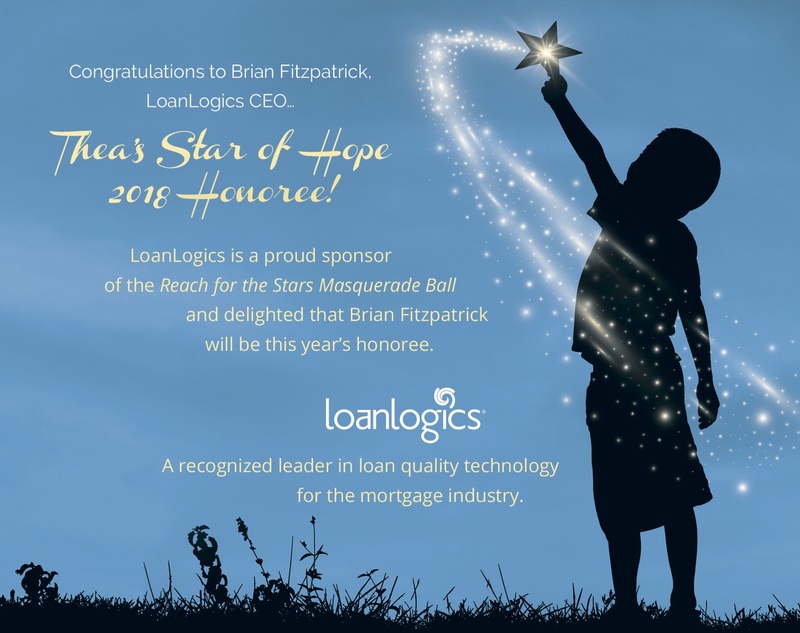 The 2018 American Cancer Society's Annual Hope Gala was again sponsored by LoanLogics and CEO Brian Fitzpatrick was a co-chair. The event's focus was on children's cancer and funding research to find new answers that will help every child and family affected by cancer. Honored at the event was Terri Merlino, Chief Credit Risk Officer, Freddie Mac, who is a member of the Hope Gala Executive Committee and a founding chair. 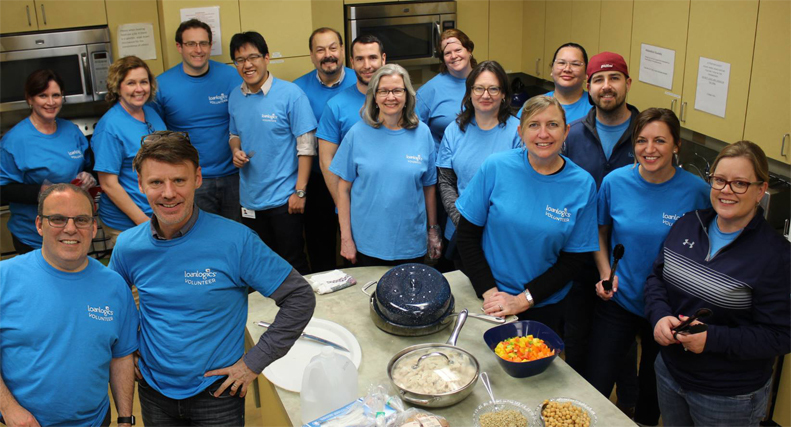 On 3/8/18, LoanLogics returned to the AstraZeneca Hope Lodge of the American Cancer Society for a second year where our team members prepare, cook and serve dinner for patients and caregivers. 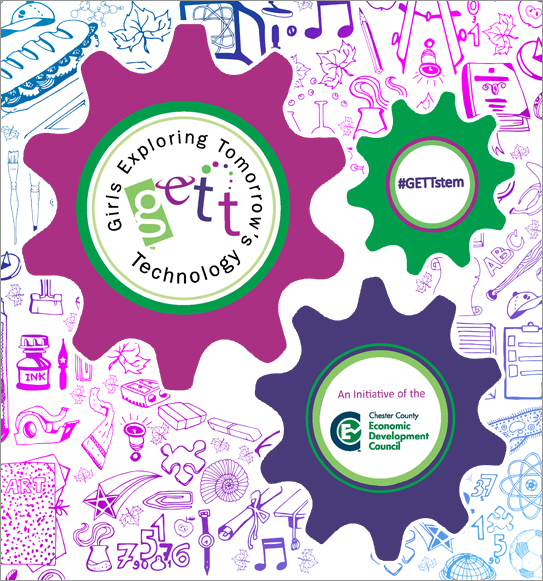 Ashley Fraschilla, Aileen Leven and Shannon Redican represented LoanLogics at the 2017 Girls Exploring Tomorrow's Technology (GETT) Expo. 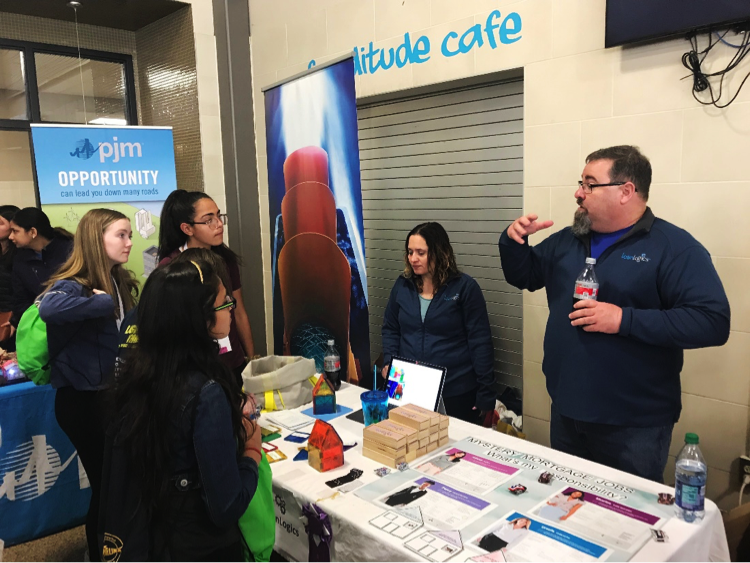 This annual daylong event is for girls grades 5-10 and their parents to learn about career opportunities in a broad scope of Science, Technology, Engineering and Mathematics (STEM) related industries. The event was held on March 17, 2017, at Phoenixville Area Middle School, PA.
beat our fundraising goal by raising $17,950! On September 23rd, 23 riders on the LoanLogics Lead Out for MS team participated in the 2017 BikeMS City to Shore ride. Our team increased our size by over 50% and raised $17,950 for MS (a 78% increase over 2016). The determination of our team and the generosity of family, friends and donors far exceeded our expectations. A special thanks to the riders and the volunteers. In addition to the programs listed above, the LoanLogics Cares program provides assistance throughout the year for various local and regional food and clothing drives. We also support local community events and recruit interns from colleges throughout the Philadelphia area to promote technology careers in the region.